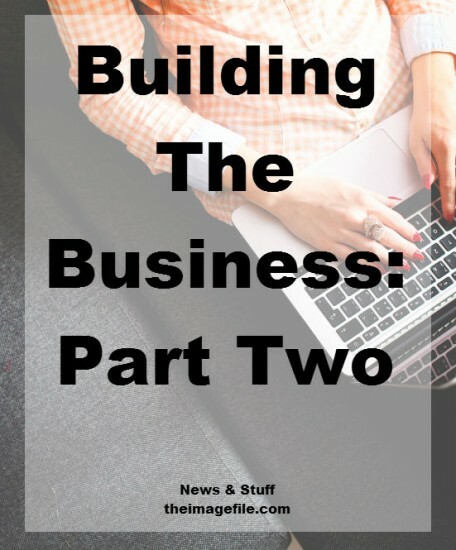 Building the business – part two follows neatly on from, yes, you’ve guessed it Building the business – part one. So you’ve survived year one and your business is just about profitable. You’ve got a part-time assistant who mucks in with everything and helps out with shoots on location. The finance company you outsourced your invoicing and accounts to have nearly caught up on the backlog of outstanding invoices, and the tax issues have been dealt with. The studio you’re renting is full to bursting with four desks, a hired large-scale printer, a vintage studio camera you thought would make good as a piece of interest, your dog and a drawers full of materials and half-used items. Short of a windfall, it is impossible for the business to outlay cash on expensive equipment even if it is crucial to delivering new work. Planning this kind of investment is therefore the only way, and perhaps winning a project to pay for it is the only way other than hiring it. Reward if you like. This is perhaps the most difficult part of growing a business because there is nowhere to hide in a company the size of you! Finding the right characters and skills to work in a close environment with the owner is ticking a lot of boxes all at once. Not to mention you cannot pay them the earth. Finding people with passion is the first step, and more often than not they find you. Convincing them of your master plan and placing the incentive of growing with the business is the next step. This may be a good time to review all your efforts on this front, which may have been a bit ruched at launch. Putting effort into a blog or maintaining a daily presence on social media is not easy but the benefits of the free marketing and visibility are clear. It may even be a time to look into employing or giving a role to an intern who you can direct on these platforms. Your web site is your 24/7 shop window and crucially important to showcase your style of work. Can your site save you time and money and help you become more efficient with client management, order fulfilment, generating more enquires by having a higher Google ranking? It may seem painful to find time to review it now, but longer term it will be worth it. This is old news right? Well maybe but as with everything, we get stuck in ruts and all the goodwill and intentions that you started with may have slipped a bit. Those two or three meetings a week you set yourself at the beginning might have fallen to once a month. Force yourself out and keep making those connections. It will keep you on your toes and surprise you with the new ideas you come across, business networking is great and full of surprises. All those plans you put in place – stick with them. But stay flexible, honest and open to new ways of doing things. Technology and fashions within the business and consumer marketplaces shift and change. It is important to stay abreast and change if it makes your processes more efficient and better. No one said it was easy, but you can make it easier.